“Women have a different purpose — to have children, do housework, to create a family home.” That’s Russian ski jumping coach Arevyev’s last year’s degrading statement. There will probably never be an end to the discussion about the differences and values of male and female sports, although culture has changed the attitude over time. A hundred years ago people were worried about women competing, because female athletes had to be preserved from early maturing and childlessness. This was two generations ago, and even today there are gentlemen’s clubs gathering in cabinets around the world, deciding on females’ top and competition sports for them. The lack of appreciation towards female sports is even today visible in the amount of viewers, differences in sponsor and business contracts and regretfully also in the difference in salaries. What makes men better than women? Or is it so? When looking at the big picture and the difference in the biological starting point between genders, perhaps the fact is that women achieve a better level of performance and results than men? It is known that the results between boys and girls stay the same up to an age of approximately 10, regardless of gender. After that genes and hormones take over. Although females are usually bigger than males in the animal kingdom, women are approximately 15 cm shorter than men. This difference in height provides men with longer bones, giving them a mechanical benefit and a better muscular support compared to women. Because of this a man can kick, throw and hit better. Men have more muscle mass due to greater testosterone production. 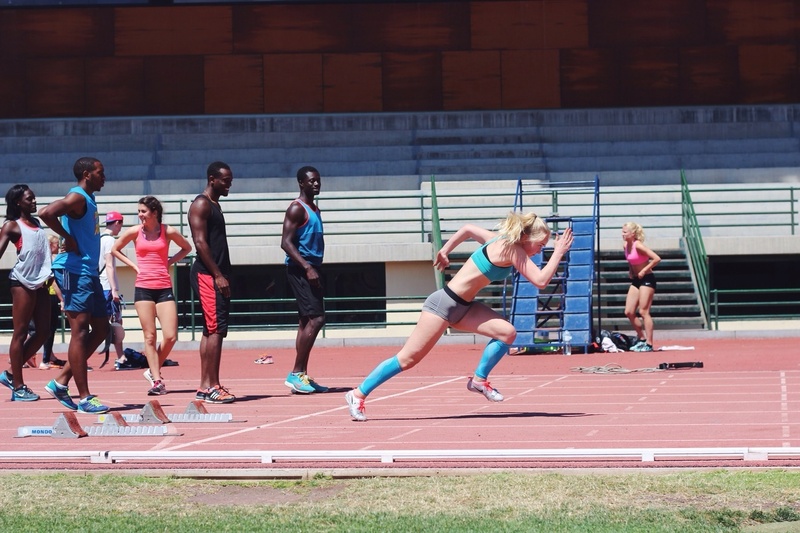 Men are physically stronger than women, which gives them a benefit especially in sports demanding power, and women are approximately 10% slower when it comes to sprints. The testosterone provides other benefits for men as well. They have a bigger heart, lungs and more type 2 muscle cells, and they produce more red cells. These give men a better oxygen-carrying capacity and maximum oxygen uptake, i.e. the ability to use oxygen upon stress, which is traditionally considered the single most important thing for aerobic endurance and performance. Women’s maximum oxygen consumption is usually 15-30% lower than that of men. Women have more flexible joints than men, which is beneficial e.g. in aerobics, although the flexibility increases the risk of injury due to mechanisms between the nervous system and muscle control. Women have a wider hip, which improves the movement and centre of gravity. Women have a higher natural body fat amount due to the oestrogen hormone. The body composition varies between sports. Long-distance runners have the lowest amount of body fat: men approximately 6% of the body weight and women approximately 8%. The normal body fat and oestrogen levels shield from injuries. In addition to being a central gender hormone, oestrogen is a vital part of the metabolism. It is known that oestrogen improves the usage of the fat and carbohydrate reserves during long-term strain. The bodies of woman athletes are on an average better at producing energy from glycogen, the carbohydrate reserves. It is observed that this is beneficial in ultra-long-distance running and swimming. Women have a competitive edge when it comes to the higher body fat level in cold climates, e.g. in long-distance swimming in cold climates, where the differences between genders are evened out. Men and women are just as different as adolescents and grown-ups. Children aren’t small adults, and women aren’t small men. Women don’t jump as high or run or swim as fast as men do, but there are sports like motor sports and shooting, where women have realistic chances in pursuing the results of men. Gone are the days when married women trying to get to the Olympics received death penalty. There is still a lot to do in order to improve the attitudes and respect for woman sports. It’s hard to comprehend what it takes to get to the top of woman sports without getting to know a top female athlete. The female athlete’s road tends to be longer and rockier than the male’s, because of biological factors, the community and primitive attitudes. ‹ A categorization game with eating disorders and fitness sports?